Even before visitors to the Pérez Art Museum Miami walk through its doors to admire more than 1,800 pieces of modern and contemporary art, they are treated to an artistic masterpiece. JTI Companies Inc. in Birmingham, Ala., fabricated a superstructure comprising seven chambers with 67 FRP tubes that descend from a canopy and hold 80 different plant species native to Florida. 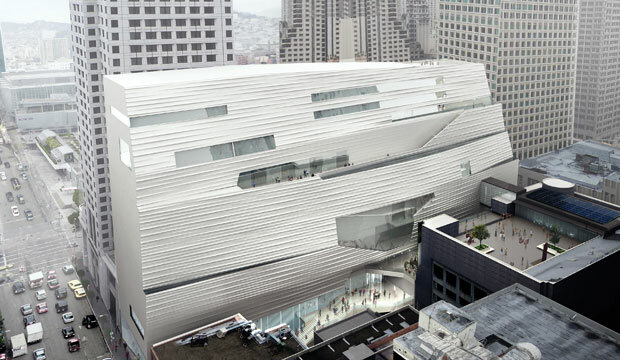 The San Francisco Museum of Modern Art (SFMOMA) is undergoing a major expansion, joining a new 235,000-square-foot addition to its existing building. The expansion will provide nearly six times as much public space as the current building and double the museum’s capacity to display art. The SFMOMA collection includes thousands of pieces, ranging from expressionist paintings to installation architecture.